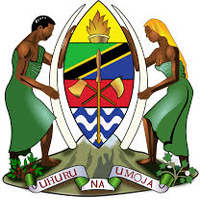 Itilima District is one of the five districts of Simiyu Region of Tanzania, East Africa. Its administrative centre is the village Lagangabilili. It is bordered to the north by Bariadi District, to the east by Ngorongoro District, to the south by Maswa District and Meatu District, and to the west by Magu District. As of 2012, the population of Itilima was 313,900. The district was established in 2012, when it was split off from Bariadi District and became part of the newly established Simiyu Region.